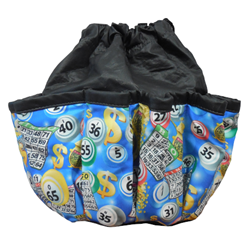 This 10-pocket dauber bag is sure to bring the luck. After all, it has a pot of gold on it spilling gold coins across the image. The bag features two drawstrings to keep the bag open or closed as well as a complementary pouch.